Over the past few weeks, visitors to our office for dental services have probably noticed a few changes we have made before, during, and after their appointments. We have been working hard to continually improve the experience for patients and we are ready to tell you about some great new benefits available. I know that life is busy and in the midst of everything going on in all of our lives it can be hard for even me to remember where I am going to be each day without a little help. In the past, we have used technology to make simple phone call reminders to patients about their scheduled appointments. 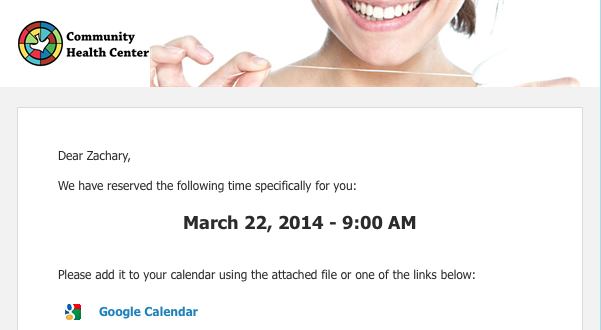 Now we will be sending smart, targeted emails and text messages to patients to remind them of their appointments. These smart communications allow each patient to respond simply in the text or email to either confirm the appointments or ask for a call from our staff. This allows our office to better understand what each days schedule will be like and respond better to patients whose schedules have changed. In order to maximize the benefit that these communications offer to our patients, we will be confirming contact information for each patient at their upcoming visits to make sure we have current email addresses and cell phones numbers. This minimizes the number of phone calls that patients get to confirm appointments. During dental appointments, our staff will begin to provide education videos for patients to watch about proposed treatment plan services, pre-procedure and post-op instructions, as well as videos to explain complex dental issues so that patients can feel informed and empowered in choosing their dental treatment. Over the coming months, we will also be adding these education videos to our website so that patients can view them at their leisure. We are very excited about this new tool, and hope all our patients take advantage of the great information available in these videos. Most of our patients will be familiar with the care instructions which they receive every time the come in for a procedure in our office. Now, in order to provide our patients with an electronic version, we will be sending out post-operative care instructions via email after a patient has visited for a procedure. This information will enable all of our patients to take the necessary care steps to protect the work they have had done and increase the success rate of their treatment plan. 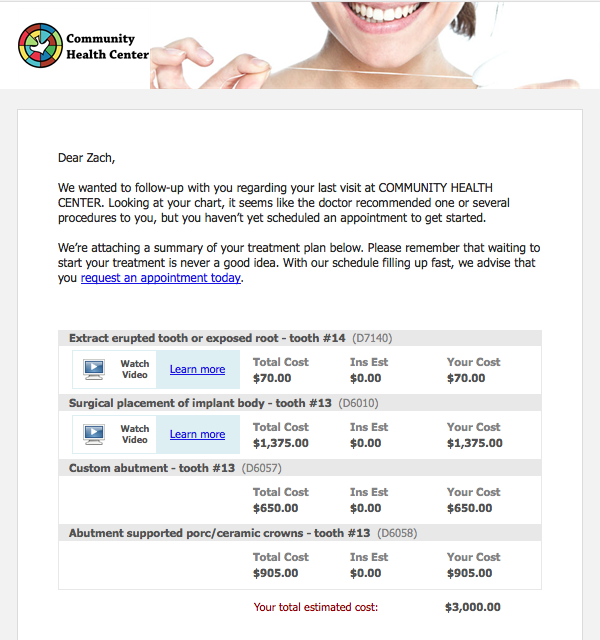 We all know things keep us from getting the dental treatment that we need, whether its availability of funds, scheduling conflicts, or other “life happenings.” Now we will be sending out treatment plan reminders with educational videos and modules to help patients stay engaged in the priority of their dental health. We are really excited about this new feature. After your office visit, patients will be emailed with a request to write a short review of their experience or fill out a short survey on how we can make the patient experience better. We are very focused on making communication as easily as possible for patients to let us know how their experience at our office goes. 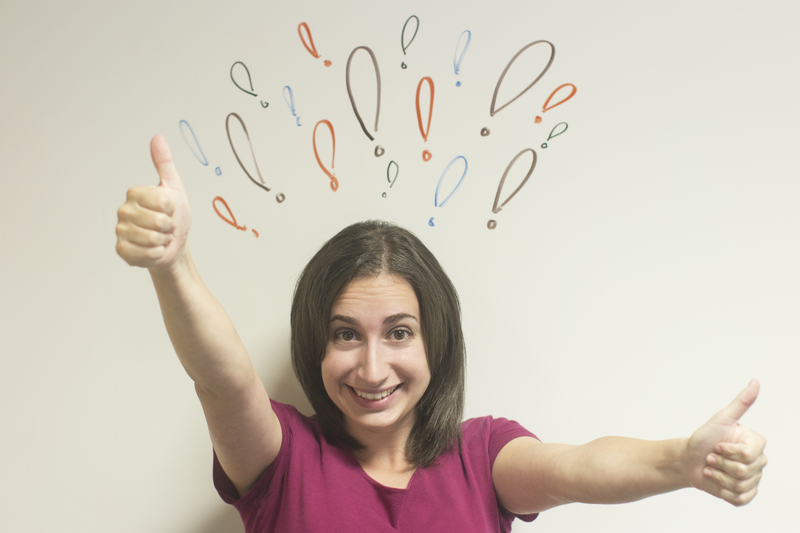 We want hear from all our patients and we encourage everyone to provide their feedback. As of today patients now have a new way to view their entire dental experience with CHC online with our new patient portal. Patients can access a history of their services, see what appointments they are scheduled for, request new appointments, pay their balance, change their communications preferences, write a review, and so much more. 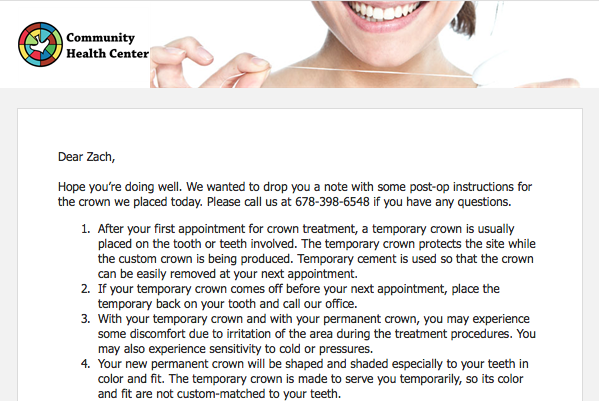 The portal provides an amazing way to stay on top of your dental care and stay in contact with our staff. Stay tuned for another blog post on specifics of the portal. I know this is a lot to take in but we are very excited on all the new features and benefits that patients can now access. 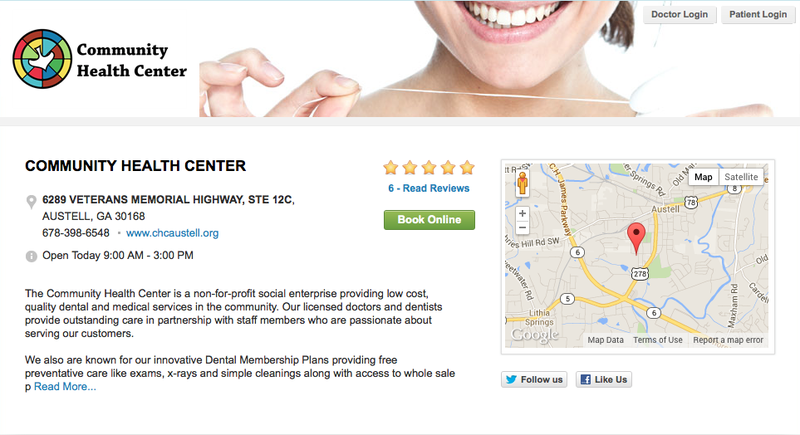 We invite all our patients to check out the new portal, create your login, and explore the portal.